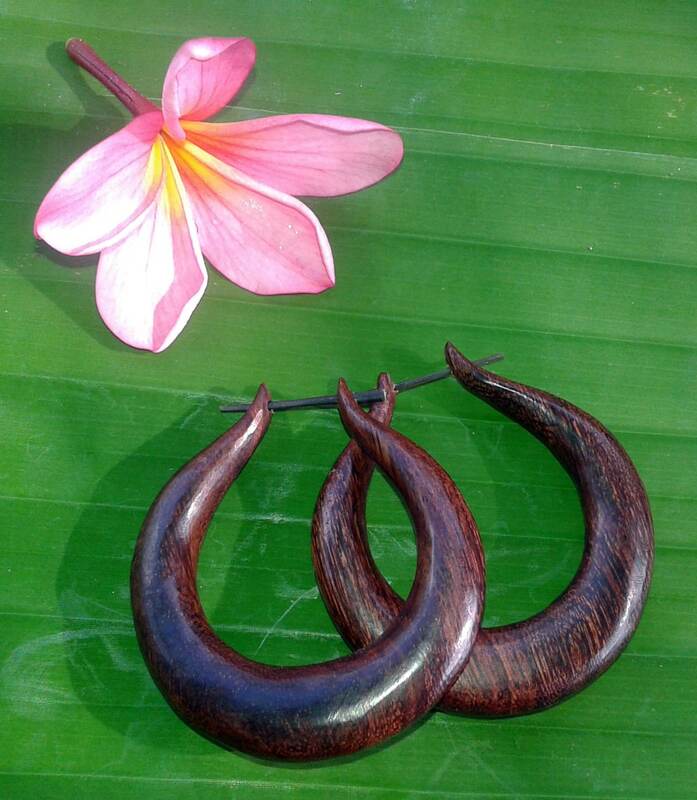 Deliciously feminine, exotic Tamarind hoop earrings. Juicy curves are the signature of this expertly sculpted jewelry! Made for Sweet Skins in Bali from sustainable plantations, Tamarind is a tree that produces a sweet, tart fruit used widely in the regions of Africa and South East Asia where it is native. 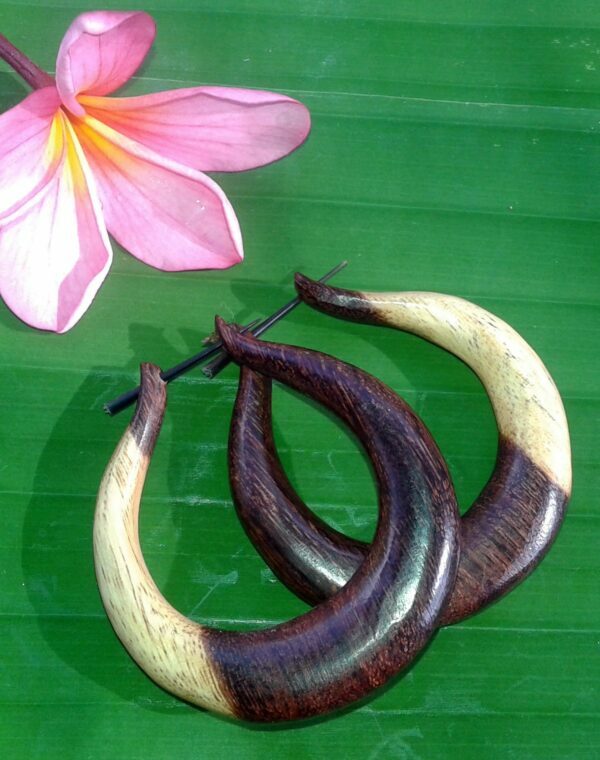 A truly beautiful, highly intergrained wood provides deep color and texture to these gorgeous hoops.